Today, Twitter is launching our #BeAVoter campaign to promote increased, informed participation in the 2018 US election on Tuesday, November 6. Every day, people across the country use Twitter to hear directly from political candidates and journalists, organize and talk with their community on issues they are passionate about, and learn about ways that they can get involved in the democratic process by volunteering, donating, and even running for office. But the first and most important step to participate in the election is registering to vote - and we want every eligible person to #BeAVoter in this election. A prompt in their home timeline with information on how to register to vote. Already registered? Great - people will be able to Tweet at their followers to encourage them to register. #BeAVoter as the top US trend promoted by @TwitterGov, which will create even more access to voter registration information, including election reminders and an absentee ballot FAQ. A new emoji connected to #BeAVoter that will help unify the conversation around this important, national call to action. All of these prompts will link people to TurboVote, a non-profit, non-partisan organization, which we have partnered with to launch this campaign ahead of National Voter Registration Day on Tuesday, September 25. 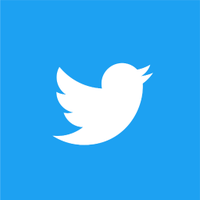 Twitter is where people go to for news and information about elections, and it is our obligation to ensure that we meet this expectation and provide a platform that promotes healthy, public conversation and surfaces reliable information for voters. That’s why ahead of the 2018 election we’ve created new labels to identify candidates, launched stricter rules and transparency tools for political advertising, and have committed to strengthen our platform against attempted manipulation. Our #BeAVoter campaign is an extension of this work to advocate for increased, informed participation in elections. Stay tuned between now and election day on November 6th for more updates on this campaign.